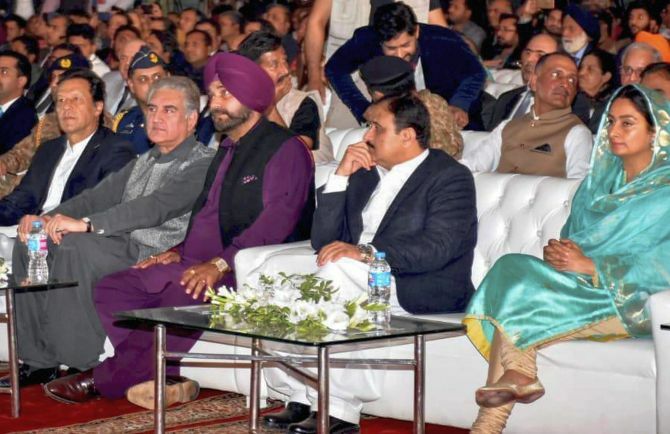 Union ministers Harsimrat Kaur Badal and Hardeep Singh Puri and Punjab cabinet minister Navjot Singh Sidhu attended the ceremony. 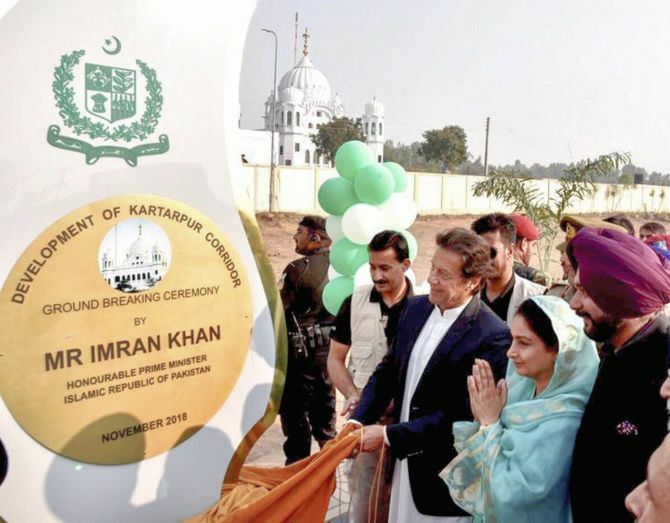 Pakistan Prime Minister Imran Khan on Wednesday laid the foundation stone for a corridor linking Gurdwara Darbar Sahib in Pakistan's Kartarpur -- the final resting place of Sikh faith's founder Guru Nanak Dev -- to Dera Baba Nanak shrine in India's Gurdaspur district to facilitate visa-free movement of Indian Sikh pilgrims. It was established by the Sikh Guru in 1522. The first Gurdwara, Gurdwara Kartarpur Sahib, was built here, where Guru Nanak Dev is said to have died. The development comes ahead of Guru Nanak's 550th birth anniversary next year. 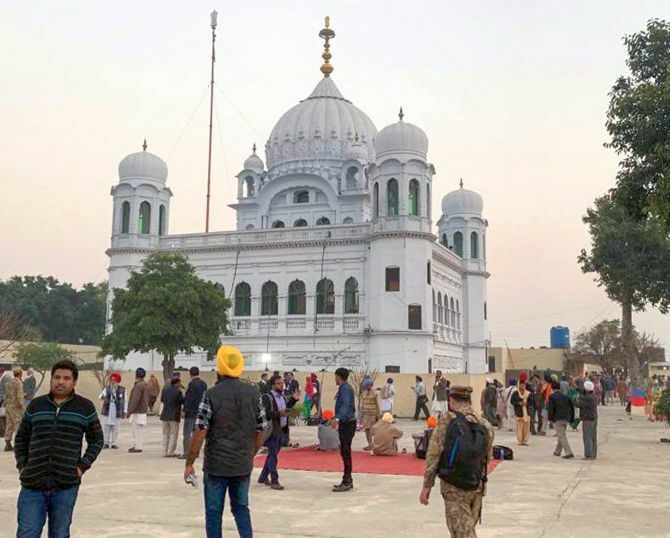 Thousands of Sikh devotees from India visit Pakistan every year to celebrate the birth anniversary of Guru Nanak. India had proposed the corridor to Pakistan around 20 years back. 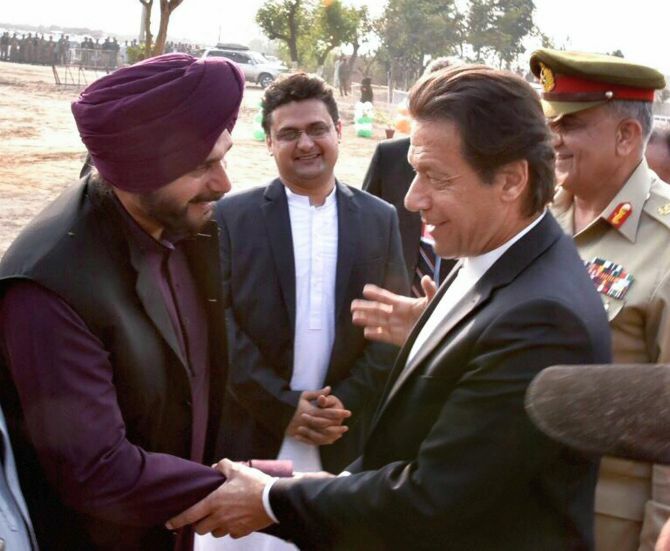 India was represented by Union ministers Harsimrat Kaur Badal and Hardeep Singh Puri at the event. 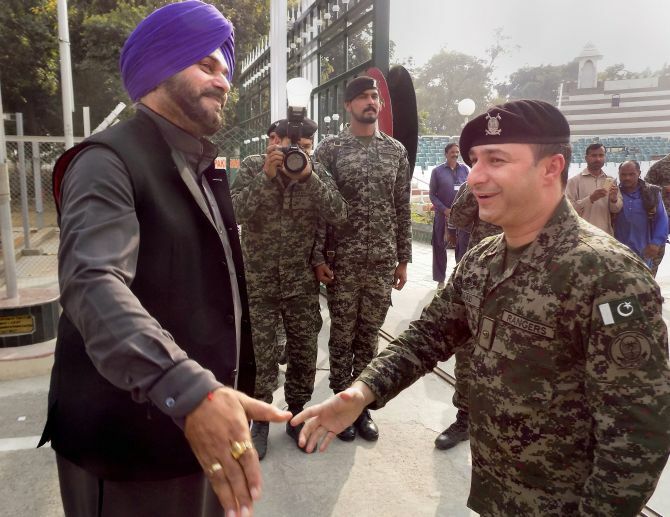 Punjab cabinet minister Navjot Singh Sidhu also attended the ceremony. The ties between the two countries had strained after the terror attacks by Pakistan-based groups in 2016.